As reported by the leading Italian daily La Stampa, and several others, on May 14 2018, the Turin Book Fair, the third largest book fair in Europe, hosted the conclusion of the FIRMA-Faiths in Tune festival, a 5-day event where religious groups offered musical performances. Two FIRMA awards were presented by an international jury, one to President Daisaku Ikeda of the Japanese Buddhist group Soka Gakkai for his lifelong commitment to religious dialogue, and one to The Church of Almighty God, a Chinese Christian new religious movement, for its resistance to religious persecution in China. Authorities, journalists, and a significant public attended both the festival, where The Church of Almighty God’s performers were among the most admired groups, and the award ceremony. The award was delivered to representatives of The Church of Almighty God by the Hon. Dr. Nino Boeti, president of the State Legislature of Piedmont. Several city councilors of Turin were also in attendance. In accepting the award, members of The Church of Almighty God testified about the persecutions they are subject to in China and the problem they encounter as asylum seekers in Italy. During the event Bitter Winter’s editor-in-chief, Prof. Massimo Introvigne, unveiled for the first time to the audience and the media Bitter Winter in its three editions in English, Chinese, and Korean. 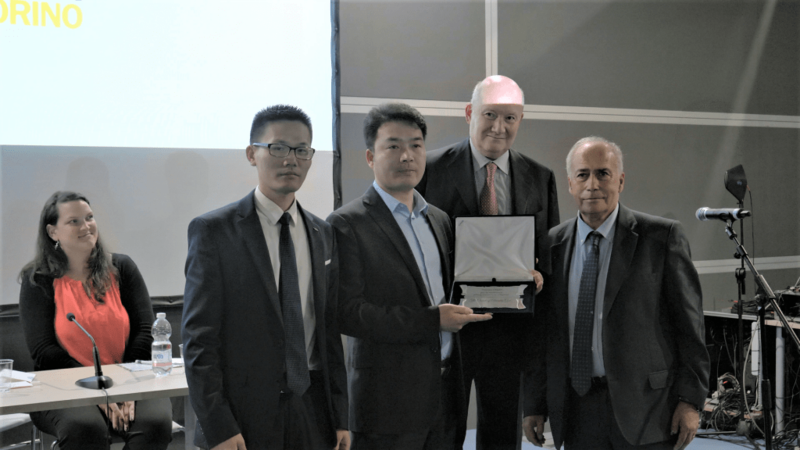 The Church of Almighty God awarded at the Turin Book Fair 2018 for its resistance to religious persecution in China.